For day 11, I'm requesting some basic makeup. I think this is something that makes it to my list every year. I still love the MakeUp Forever Aqua Eyes Eyeliner. I'd actually like to try the S20 (Satiny Navy Blue), the M10 (matte Charcoal Grey), and the M80 (matte Plum) to my collection. 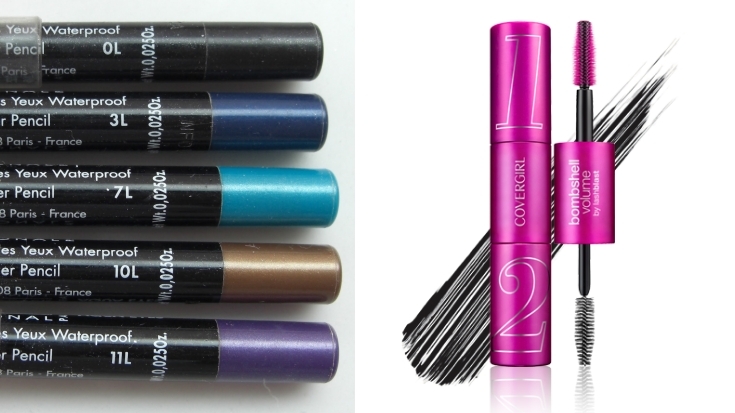 I'm also running low on my Covergirl - Bombshell Volume by Lashblast mascara. I always use black. The eyeliner is available at Sephora (where the link above is to) or maybe Ulta. I've actually gotten the mascara at Target. I need to invest in some basic makeup too, I tend to use mine until it cracks/is unusable :/. I love bombshell mascara. I need to buy some new makeup. I always have my mom buy me makeup for Christmas! I'm taking a shopping trip to Ulta soon to restock essentials.